The key to our success is making your planning very simple. Book your Runaway to San Diego special. Secure additional Elope to San Diego vendors (i.e. Photographer) with the information you receive from us after booking. Make your travel and accommodation plans (if not local). 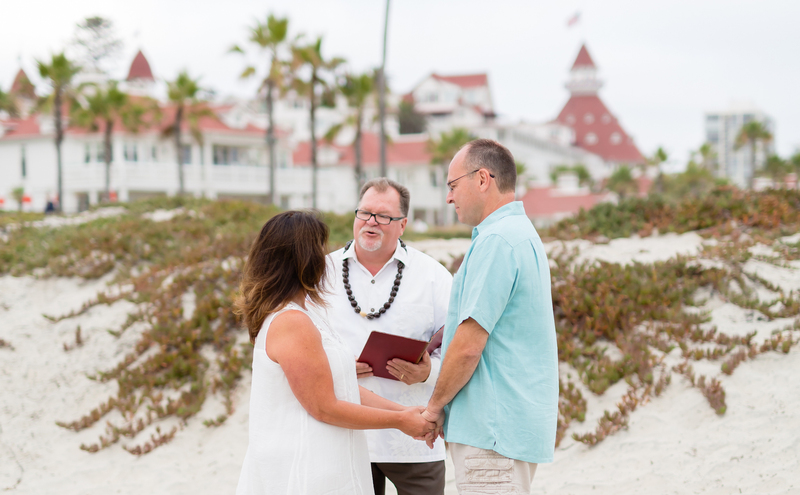 Obtain your California marriage license and bring it with you. Meet us at one of three beautiful San Diego locations on the date and time agreed. Receive a fun, romantic and lighthearted stress free ceremony. We sign the paperwork and if requested, file it with your County Clerk on your behalf. CLICK HERE to fill out the online form to begin the process.